Our credo is that Customers will never love a company until the employees love it first, so we treat each of our employees like our customers because if you take care of your employees, they will take care of your business! When employees are consistently treated with trust, dignity, and respect, they respond by giving their best. They care about the business, their colleagues and their customers. We started as a Payless Car Sales franchise in 2006 offering buyers an alternative to the new car dealer with volume pricing on off lease and rental vehicles. 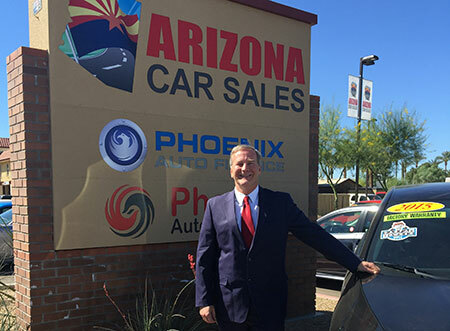 In 2011, we rebranded as Arizona Car Sales and moved to our new 1.5 acre campus with full 5 bay service and detail department offering over 150 cars, trucks, vans and SUVs at no hassle, no haggle, market based pricing. The price you see is the price you pay with no mark ups, addendums or games and a typical customer can get out of the dealership in an hour or so as opposed to the big dealerships that take all day to buy a car! 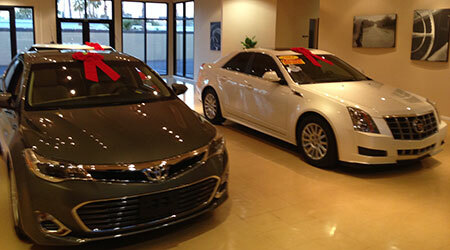 150+ Inventory starting as new as the current model year.